If you’ve never driven a manual transmission vehicle before, then you’re probably used to the convenience of an automatic transmission. Automatics are great because you don’t need to switch gears as you’re driving. There is something called a transmission control module which automatically changes gears based on the conditions of your driving. Every time you slow down, stop or accelerate, the transmission control module sets the right gear for you. That way, all you need to concern yourself with is the driving and steering. The innovativeness of the transmission control module is quite impressive. 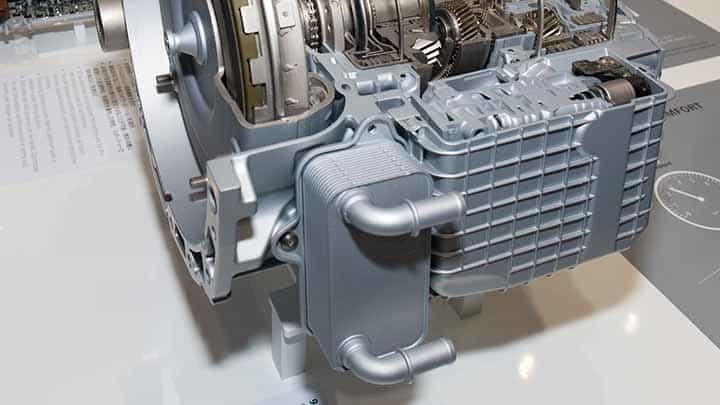 Like the engine control unit, the transmission control module is a computer that transmits and receives information from other systems and sensors of the vehicle. This allows the control module to set the proper gears at the proper times. If something were to happen to the car transmission control module to cause it to malfunction or go bad, then it would cause a lot of problems for the driver. It is easy to spot the symptoms of a bad car transmission control module as they occur. You just need to know what to look for so that you can associate them with a transmission control module. To help you get started, below are the top 5 symptoms of a bad car transmission control module. 1) Weak Engine Performance – Is your engine performance weak? A healthy transmission control module can cycle through different gear settings when the time is necessary. The cycling should never happen too slowly or quickly because that will cause your acceleration to weaken. This means when you step on the gas pedal, you will go slower instead of faster. If you have a bad transmission control module, then your gear cycling can be affected in this way. 2) Trouble Shifting – Your ability to shift smoothly in an automatic transmission vehicle means that you need a strong and reliable transmission control module. If your module is bad or worn out, then you can expect problems with your ability to shift. Even worse, you may notice the vehicle shifting to other gears on its own, such as neutral, park, or reverse. Clearly, in this situation, you have a bad transmission control module and it must be replaced at once. 3) Check Engine Warning Light – Your “Check Engine” warning light will illuminate on your dashboard whenever there is a problem that directly or indirectly affects the engine itself. When you have a bad transmission control module or any other problem with your transmission, it will usually cause the Check Engine warning light to activate on your vehicle’s dashboard. Whenever you see this light on, you should take your vehicle to the nearest mechanic to find out what is going on. 4) Poor Fuel Economy – There are a lot of factors which contribute to a good fuel economy for a vehicle. The stability of your transmission and its control module is certainly one huge factor. If you have a bad transmission control module, you will notice your fuel economy getting much worse. Your fuel mileage will be worse, resulting in more trips to the gas station. This occurs because the transmission will no longer change gears at the appropriate times. As a result, the engine is put under more stress than it should be. If you have a stressed-out engine, it consumes more fuel. 5) Scanning Tool Fails – When you run a diagnostic check on your vehicle, you connect a mobile scanning tool to the vehicle’s transmission control module. Under normal circumstances, the device will receive trouble codes which indicate a possible problem in your vehicle. But if there are no trouble codes delivered at all, it means there is a problem with your transmission control module.